Today, Here & Now is marking the 50th anniversary of the assassination of President John F. Kennedy in Dallas, on Nov. 22, 1963, with four hours of special coverage. At this time 50 years ago, President Kennedy was in Fort Worth, Texas, getting ready to leave for Dallas. Today, the city of Dallas is beginning its first-ever city-organized commemoration of the assassination of President John F. Kennedy. In the 50 years since Kennedy was shot in Dealey Plaza, residents of Dallas have had an ambivalent relationship with how to mark what happened in the plaza. There is no Kennedy statue in Dallas. And yesterday the city paved over the X that conspiracy theorists place on the actual spot where Kennedy was shot in his motorcade. We speak with KERA reporter Lauren Silverman in Dealey Plaza. 11:38 a.m. CST: Air Force One lands at Love Field in Dallas. A welcoming party greets them. The weather clears and the clear bubble top is removed from the presidential limousine. The shots were fired at 12:30 pm CST, but up until that point, the Texas trip had generated big crowds and cheers, despite the fact that there was a strong anti-Kennedy sentiment in the Lone Star state. Historian Julian Zelizer of Princeton's Woodrow Wilson School joins us to discuss the political context for the trip, which came a year before Kennedy planned to run for reelection. In the months after President Kennedy was assassinated, many prominent poets wrote elegies for the fallen leader. Among them were W.H. Auden and John Berryman. But others couldn't summon the words. The poet Randall Jarrell tried to write an elegy but could write no more than "the shining brown head." Adam Gopnick joins us to discuss his recent article "Closer Than That" in The New Yorker, which traces the response of poets to the assassination. 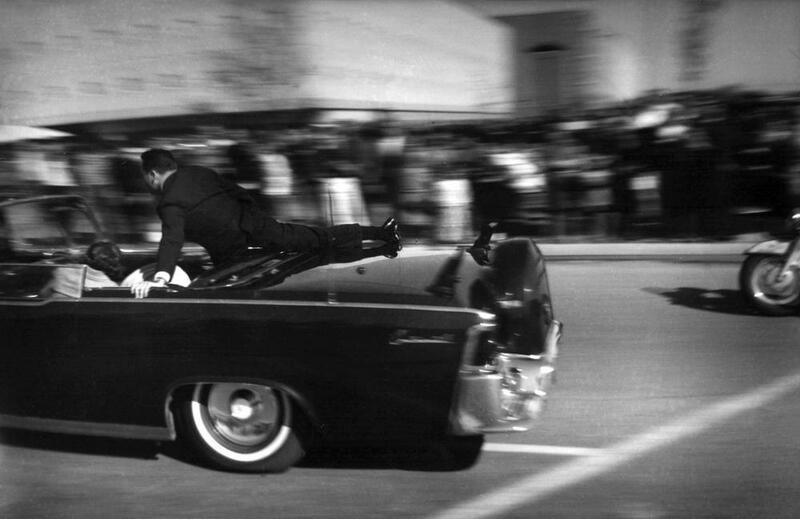 [sidebar title="Timeline" width="250" align="right"]12:30 p.m. CST: The motorcade is passing the Texas School Book Depository. Shots are heard. 12:34 p.m. CST: The first United Press International bulletin clears the wire. It reads: "Three shots were fired today at the president's motorcade in downtown Dallas." 12:40 p.m. CST: CBS breaks into the live soap opera "As The World Turns" with a bulletin from Walter Cronkite. It's the first national report on the shooting on television. In this hour, President Kennedy's motorcade was making its way from the airport through the streets of downtown Dallas. At 12:30 CST / 1:30 EST, shots were fired at the president's limo. Kennedy was mortally wounded and Texas Governor John Connally was also wounded. They were rushed to Parkland Memorial Hospital. We're joined by Thomas Whalen, associate professor of social sciences at Boston University, to discuss Kennedy's legacy, what was going on politically for him at the time and his relationship with Vice President Lyndon Johnson. We also touch down with KERA reporter Lauren Silverman in Dallas, Texas, who is reporting live from the city commemoration. Meanwhile, Samuel Barber's classic "Adagio for Strings" is a work that many Americans consider to be the country's "unofficial" funeral music. It was played after the death of John F. Kennedy, as well the funerals of Franklin Delano Roosevelt, Albert Einstein and Leonard Bernstein. Critics called it a work of pathos and cathartic passion that never leaves a dry eye. We speak with Barbara Heyman, author of "Samuel Barber: The Composer and His Music," who says it was not Barber's intent to compose music that evokes such sadness. [sidebar title="Timeline" width="250" align="right"]1:16 p.m. CST: The first report that Dallas Police Officer J.D. Tippit has been shot. 1:26 p.m. CST: Lyndon Johnson leaves the hospital bound for Love Field. 1:33 p.m. CST: At Parkland Memorial Hospital, White House Assistant Press Secretary Malcolm Kilduff announces the president is dead. 1:38 p.m. CST: On CBS TV, Walter Cronkite delivers the officials news that Kennedy is dead and that Johnson will be sworn in as the nation's 36th president. At this time 50 years ago today, President Kennedy was the emergency room at Parkland Memorial Hospital in Dallas, Texas. Doctors at Parkland Memorial Hospital were working frantically to save the president, but the effort was futile. Kennedy was pronounced dead at 1 p.m. CST / 2 p.m. EST. There was no official announcement for another half hour, but there were already news reports to that effect. CBS TV anchor Walter Cronkite read the words "President Kennedy died at 1:00 p.m. Central standard time, 2 o'clock Eastern standard time, some 38 minutes ago" to a stunned national audience. The police hunt for the suspect was underway in downtown Dallas. We're joined by historian Steve Gillon, scholar-in-residence at the History Channel and professor of history at the University of Oklahoma. He's also author of "Lee Harvey Oswald: 48 Hours to Live." 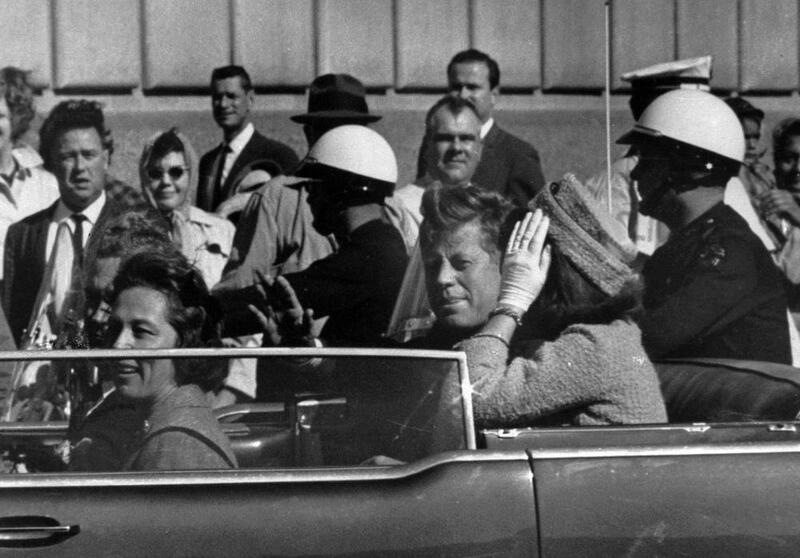 Many Americans today don't have any memories of the Kennedy assassination. It's just another chapter in a history textbook. We hear some thoughts from Sarah DiMagno, a senior at Lincoln High School in Lincoln, Nebraska. [sidebar title="Timeline" width="250" align="right"]2:10 p.m. CST: Abraham Zapruder arrives at WFAA-TV in Dallas and is interviewed about his film of the assassination. 2:13 p.m. CST: Police find the weapon used to kill the president on the 6th floor of the Texas School Book depository. 2:38 p.m. CST: Aboard Air Force One, Lyndon Johnson is sworn in as the nation's 36th president by Federal Judge Sarah Hughes. A few minutes later, President Johnson says "Now, let's get airborne." 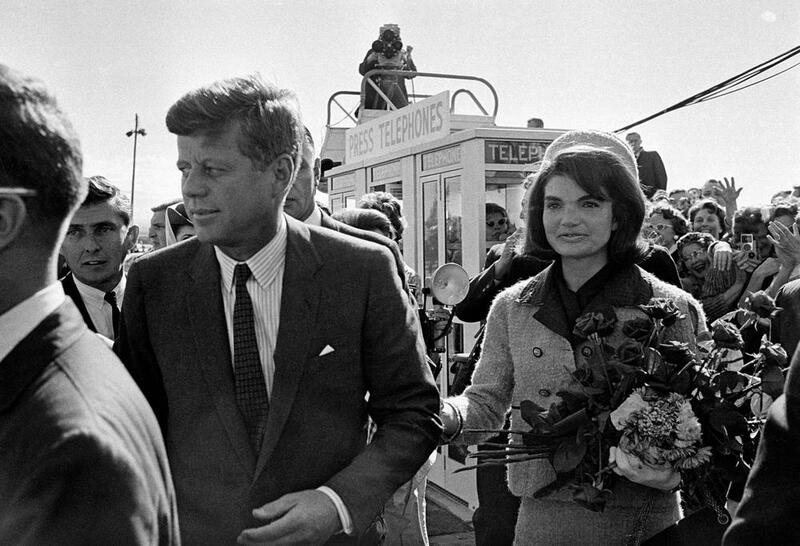 President Kennedy was declared dead at Parkland Memorial Hospital about an hour ago, at 1 p.m. CST / 2 p.m. EST. The news was setting in around the world. Thousands were gathering in Berlin, West Germany, (see video) to mourn the president, who had delivered his famous "I Am a Berliner" speech there just a few months earlier. The president's casket was brought onto Air Force One for the trip back to Washington. 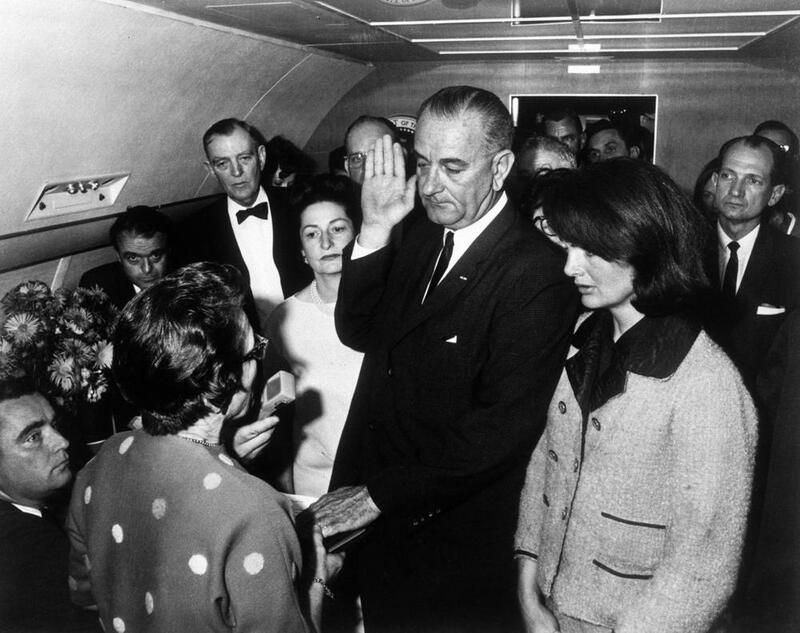 Lyndon Johnson took the oath of office on the plane and became the nation's 36th president. A young man who would later be identified as Lee Harvey Oswald was in police custody. We speak with Larry Sabato, director of the Center for Politics at the University of Virginia. His latest book is "The Kennedy Half-Century: The Presidency, Assassination, and Lasting Legacy of John F. Kennedy." 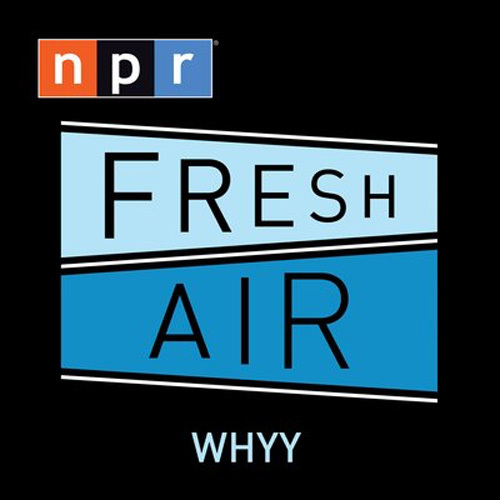 Sabato's recent article in The Washington Post is "Five myths about John F. Kennedy"
Thomas Whalen, associate professor of social sciences at Boston University, and Kevin Cullen, a columnist for The Boston Globe, also join us. Lauren Silverman, reporter for KERA in Dallas, Texas. She tweets @lsilverwoman. Julian Zelizer, professor of history and public affairs at Princeton University. He tweets @julianzelizer. Adam Gopnick, staff writer for The New Yorker. Thomas Whalen, professor of social sciences at Boston University. Barbara Heyman, music historian and author of "Samuel Barber: The Composer and His Music." Steve Gillon, scholar in residence at the History Channel and history professor at the University of Oklahoma. He's also author of "Lee Harvey Oswald: 48 Hours to Live." Sarah DiMagno, a senior at Lincoln High School in Lincoln, Nebraska. Larry Sabato, director of the Center for Politics at the University of Virginia and author of “The Kennedy Half-Century: The Presidency, Assassination, and Lasting Legacy of John F. Kennedy.” He tweets @LarrySabato. Peniel Joseph, professor and director of the Center for the Study of Race and Democracy at Tufts University. He tweets @PenielJoseph. Kevin Cullen, columnist for the Boston Globe. He tweets @GlobeCullen. This segment aired on November 22, 2013.